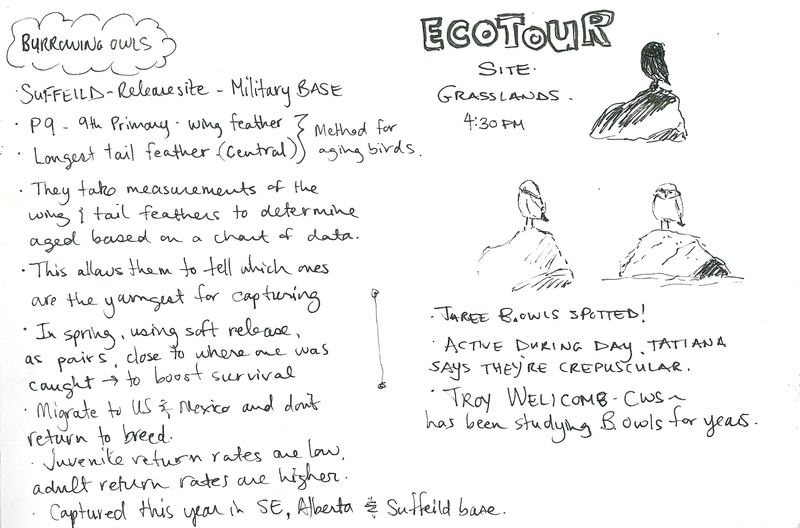 What it like to visit the Conservation Research team during their fieldwork? Calgary Zoo Educator Andrea Beaty shares her journals of this summer’s experience. Each year the Calgary Zoo’s Conservation Research team hits the field in the spring and summer, working on a myriad of conservation projects. Carrying out studies in the animal’s natural environments and collecting data is an integral part of studying conservation species like black-tailed prairie dogs, burrowing owls and leopard frogs. 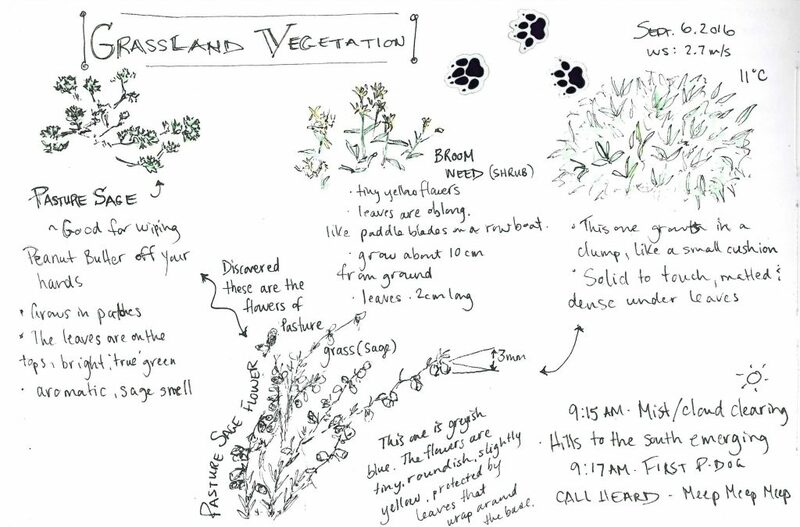 During the summer of 2016, a group of individuals from the zoo’s Education department joined the Conservation team on one of their treks to Grasslands National Park, Saskatchewan. 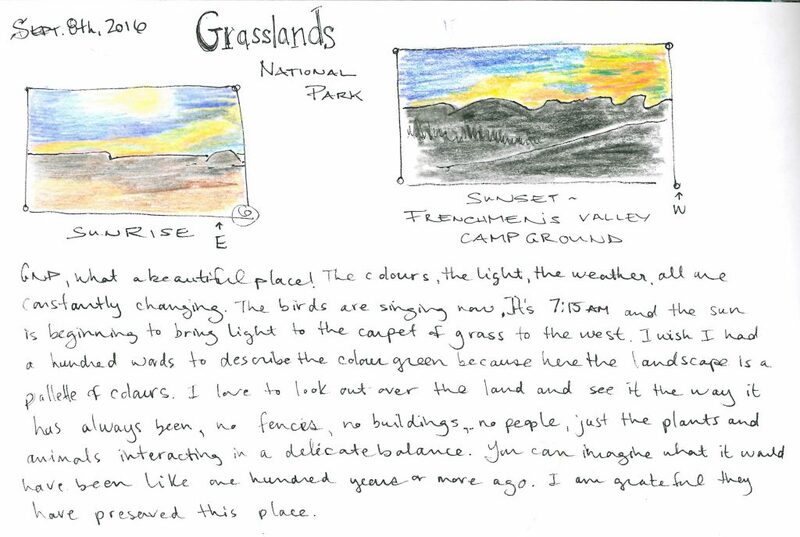 A talented artist as well as the Zoo School Coordinator for Visitor Education, Andrea Beaty journaled her visit to the iconic home of the black-tailed prairie dogs. Andrea and the group of educators worked side by side with conservation staff, monitoring prairie dogs, creating safe release traps to tag them and check their health, and other techniques that help the researchers understand how to better preserve the threatened species. She quickly had a first-hand experience with black-tailed prairie dogs in their natural environment. 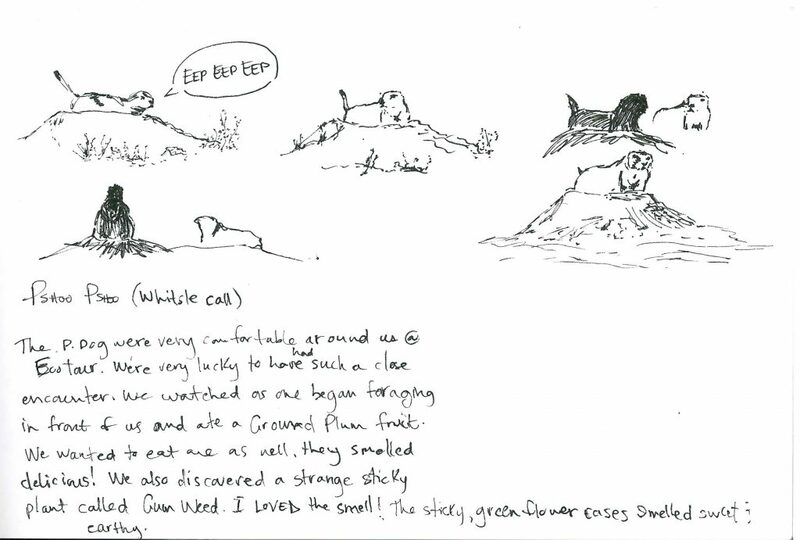 Some of her notes detail the fact that researchers don’t know much about the prairie dog activity that occurs when they are underground in their burrows, as it is difficult to study. That makes observation of them above ground all the more important. 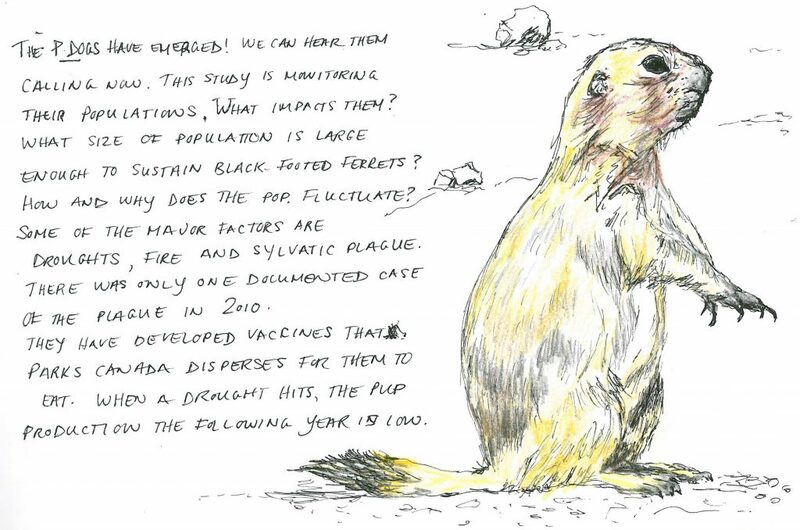 Researchers also note that they are looking to learn more specifically about the prairie dog diet. There are so many different types of vegetation out in Grasslands National Park, and Andrea did her best to capture some of it for herself. Andrea noted that the visit was an incredible learning experience not only of the environment that the prairie dogs live, but of the researchers themselves. She notes that they work long hours in many kinds of weather, accomplishing tedious and physically challenging tasks while often 45 minutes away from the closest car, and far away from camp. Zoo staff must always be aware of the surroundings for their own safety, and yet still remain detail oriented in their work. Field work in Conservation Research can be an exhausting experience, but Andrea echoes the researchers themselves when she talks about how rewarding it is. Preserving Canadian species is well work the effort. 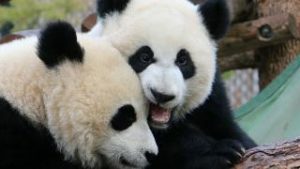 Learn more about the zoo’s work in conservation and about the work we do in Canada and across the world.